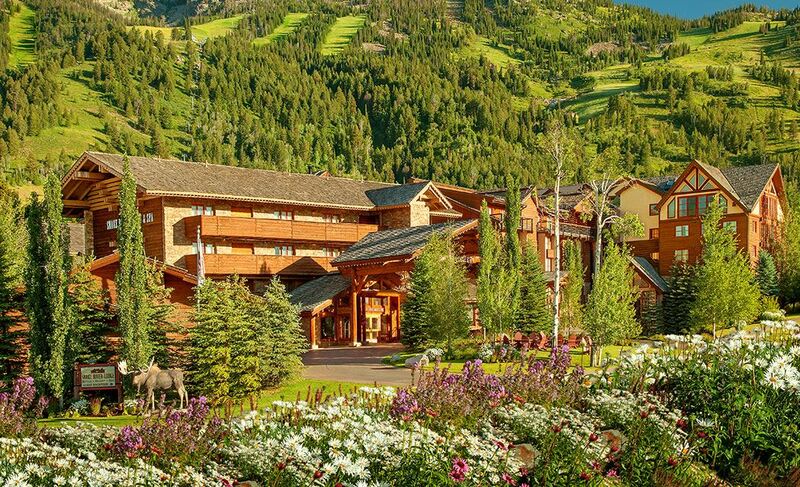 Escape to Jackson Hole in breathtaking fashion at the area's most complete resort hotel. Situated at the base of Jackson Hole Mountain Resort in the heart of Teton Village, we are just steps from the world famous Aerial Tram. This world class resort features beautifully appointed guest rooms and condominiums. Minutes from Grand Teton and Yellowstone National Parks, the Snake River Lodge & Spa offers an unforgettable experience for guests from its stunning landscape views to its premier location and vast array of amenities. 156 hotel guest rooms and condominium suites, luxuriously furnished in a Western style that reflects the appeal of this unique destination. Amenities include a stunning indoor/outdoor pool, hot tub and sauna, five-story spa, exercise facility, and ski valet. Feast on tantalizing cuisine at our award-winning Gamefish Restaurant and Fireside Bar. We also feature 6,000 square feet of flexible meeting and event space. 125 beautifully renovated traditional guest rooms and suites. 30 luxurious condominiums and residences with a fully outfitted kitchen, dining facilities, living room with cozy fireplace, and additional amenities including washer/dryer. 17,000 square foot 5 Story spa with natural light and many rooms have views of Jackson Mountain. 1,500 square foot fitness room with state-of-the-art equipment cardiovascular and strength trailing equipment. Complimentary high-speed Wi-Fi Internet access located throughout the hotel. Located next door to the world famous Jackson Hole Mountain Tram, an awe-inspiring 4000 vertical foot trip to the top of Jackson Mountain. Convenience market for beverages, snacks, sandwiches and desserts available 24 hours per day. 6,000 square feet of flexible meeting space, all of which have windows looking onto Jackson Mountain and Teton.